Bella Italia is a UK-based Italian restaurant that traces its roots all the way back to the 1970s when they started out as Pizzaland which was the first establishment that introduced the US-style pizza chain in the UK. In December of 2002, the name Bella Italia was adopted to reflect the wide range of Italian inspired food that they were serving and gaining much popularity along with their pizzas and pastas. Today, with over 90 locations operating in the United Kingdom, Bella Italia continues to impress and satisfy customers with their authentic Italian pasta dishes, innovative calzones, new grills, delicious burgers and classic pizza favorites. Below are the latest Bella Italia menu prices. For a little sweet treat! Over the recent years, Bella Italia has proven itself as being more than just an Italian restaurant. While they continuously pride themselves on offering great tasting food that leaves every customer with a full belly and a big smile on their face all for an amazing value for money, Bella Italia has shared a part of its success to charity. 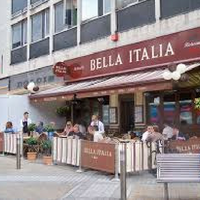 Since 2012, Bella Italia has been supporting The Children’s Society by donating some of the profit from selected dishes on the menu to the charity and have partnered with Comic Relief, the British charity founded in 1985 that aims to bring about positive and lasting change in the lives of poor and disadvantaged people. All this only goes to show that Bella Italia is a place full of good Italian food and full of heart. For more information about Bella Italia, visit their official website.